The tower form factor may be a thing of the past, at least until the new Mac Pro shows up next year, but for years, if you needed the most powerful and flexible machine money could buy, the Power Mac was the only way to go. For almost five years, the heart of the Power Mac was the PowerPC G4 chip. Starting in 1999 it clocked at just 350 MHz, but by the time the Power Mac G4 line was retired, a tower with dual 1.42 GHz CPUs could be ordered. In that time frame, things like Gigabit Ethernet, SuperDrives, and Wi-Fi became mainstream. The Power Mac G4 came in three distinct cases over the years it was available. Each style of machine saw several revisions while in service, bringing the total number of models to 10. That's a lot of computers to cover, so let's get started. The original Power Mac G4 borrowed a lot from the "Blue and White" Power Mac G3 that preceded it. The G4's case was dubbed "graphite," but the basic design was the same, complete with its plastic handles and side door that opened to grant easy access to all of the internal components of the machine. The similarities run deeper, however. The 1999 models were in two families. At the low end, the "Power Mac G4 (PCI Graphics)" 400 MHz model actually shared the logic board from the G3. It ran for just $1,599 and came with a 10 GB hard drive, 64 MB of RAM, and a CD-ROM drive. The high-end 500 MHz "Power Mac G4 (AGP Graphics)" came with an all-new logic board design and included AGP-based graphics, AirPort compatibility, a faster memory bus, DVD-ROM or RAM standard, an internal FireWire port, two separate USB buses and support for up to 1.5 GB of RAM. It sold for $3,499. If that wasn't confusing enough, Motorola struggled to meet demand and Apple had to give up on the 500 MHz model it had promised customers. Apple had to shift its speeds down, and ended up selling 350 MHz and 400 MHz "PCI" models and a 450 MHz "AGP" model. It was a rough start to Apple's new flagship line. In July 2000, Apple was quick to move on from the awkward first models of the Power Mac G4. It revised the machines, now all using the AGP-based architecture. This model is named the "Power Mac G4 (Gigabit Ethernet)," a nod to the new connectivity built into the machine. The headline here was the CPU, however. The 2000 G4 was available with a single 400 MHz G4, dual 450 MHz G4s, or dual 500 MHz G4s. Apple boasted that Mac OS X was built for multi-processor systems, and that the G4 was actually faster than the Pentium III CPU from Intel, despite running at half the clock speed. The Graphite Power Mac G4 saw one last revision in January 2001, with machines now running at 466, 533, 667, and 733 MHz. Only the 533 MHz model could be custom-ordered with dual processors, thanks to supply constraints out of Motorola. This final Graphite G4 came with faster expansion slots, Nvidia GPUs on most models, and a new built-in amplifier designed to drive USB speakers. The base model's RAM and storage had increased since the first model, now coming with 128 MB of RAM and a 30 GB hard drive for $1,699. The high-end $3,499 model came with Apple's then-new SuperDrive, which could read and write both CDs and DVDs, a first in the Mac line. Just a few months later, in July 2001, Apple took the wraps off the Power Mac G4 (QuickSilver), a whole new case design that is my personal favorite of the three. This second-generation case was cleaner and more professional looking. It traded in its pinstripes for smooth gray plastic. The drive doors and handles were more refined, and the front panel's main feature was a large speaker. Compared to its siblings, the QuickSilver looks downright plain, but I think it is my favorite of the three designs. On the inside, the QuickSilver started at 733 MHz for $1,699. That meant that the cheapest QuickSilver was the same speed as the most expensive Graphite. An 867 MHz model (with a SuperDrive!) sat in the middle,1 below a dual 800 MHz system at $3,499. The dual CPU model could run dual displays and supported up to 256 MB RAM. Unlike the Graphite before it, the QuickSilver saw only one revision. In July 2002, it was the first Macintosh to ever break the gigahertz barrier, with a $2,999 model with dual 1.0 GHz CPUs and 512 MB RAM at the high end. It came with a new L3 cache, as did the mid-range 933 MHz model. These machines quickly became known as the "Windtunnel G4" for the amount of fan noise. Apple eventually offered a replacement program for the power supply and fans, but the name stuck. The August 2002 G4s were the first to offer dual processors at all price points, including the entry-level dual 867 MHz machine at $1,699. Above it were dual 1.0 GHz and dual 1.25 GHz models that both came with 166 MHz system buses, SuperDrives, and an ATI Radeon 9000 Pro video card. These machines all required Mac OS X, and were unable to boot into Mac OS 9. January 2003's "Power Mac G4 (FW 800)" wore its new feature right on its sleeve: this G4 was the first to ship with FireWire 800. The new connector came with much faster data rates than FireWire 400. This was a big deal for video and graphics professionals working with large files. Beyond FireWire 800, this machine was the first Power Mac to support Bluetooth and AirPort Extreme, Apple's flavor of 802.11g. While offering so many new features, Apple was able to drop the price this time around. The entry-level, dual 1.0 GHz machine ran just $1,499. The high-end dual 1.42 GHz machine sold for $2,699, the cheapest high-end Power Mac of all time. The Power Macintosh G4 (Mirrored Drive Doors 2003) was released on June 23, 2003, alongside the new Power Macintosh G5. It replaced the six month old Power Mac G4 (FireWire 800) that came before it. 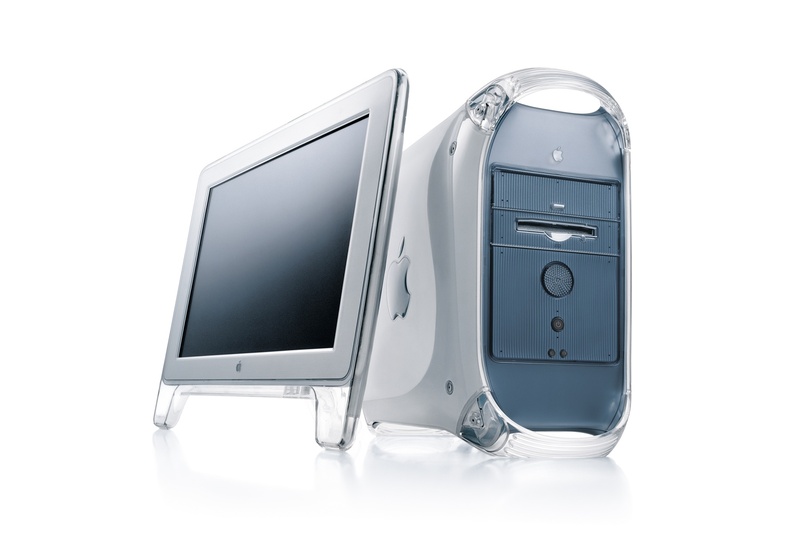 Unlike its successor, the Power Macintosh G4 (MDD 2003) lacked a G5 processor, aluminum enclosure and USB 2.0. Unlike its predecessor, the Power Macintosh G4 (MDD 2003) lacked FireWire 800, AirPort Extreme and built-in Bluetooth. It came in two CPU configurations, single or dual 1.25 GHz; with 256 MB of DDR RAM and a 12X Combo Drive. Hard disk capacity started at 80 GBs; with Mac OS X 10.2 Jaguar preinstalled. But what made the Power Macintosh G4 (MDD 2003) special wasn’t its specs, rather the fact it could boot into Mac OS 9. This last G4 tower was the final life raft for those clinging to Mac OS 9. The dual 1.25 GHz model was the fastest ever to run the OS, and many of them served publishers and educators well into the G5 and early Intel years. The PowerMac G4 oversaw an amazing amount of change. The impressive increase in power Apple packed into the machines over their five years on the market is breath-taking in our time of most modest CPU gains. It's hard to believe that the first Graphite machines and the last Mirror Drive Doors models are even related, if you're just looking at the raw specs. More importantly, however, is the fact that the G4 towers ushered in the Mac OS X era for many professionals. Many Graphite and QuickSilver owners transitioned from booting into Mac OS 9 to running OS X on these towers. The Mirror Drive Doors machines offered a tempting upgrade to early G4 or G3 owners, but they were quickly overshadowed by the mighty Power Mac G5.